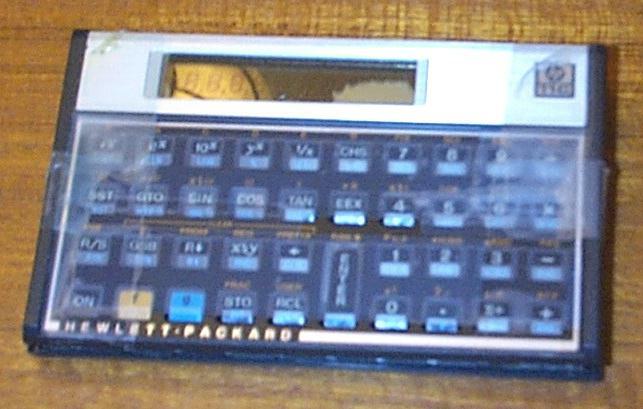 Although vintage Hewlett-Packard calculators were designed and built very well, occasionally they do need repair. 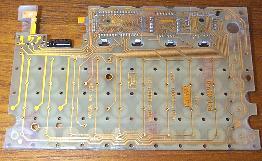 The following documents the initial disassembly of an HP-11C (Voyager series) calculator. 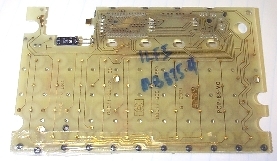 It was built in 1985. 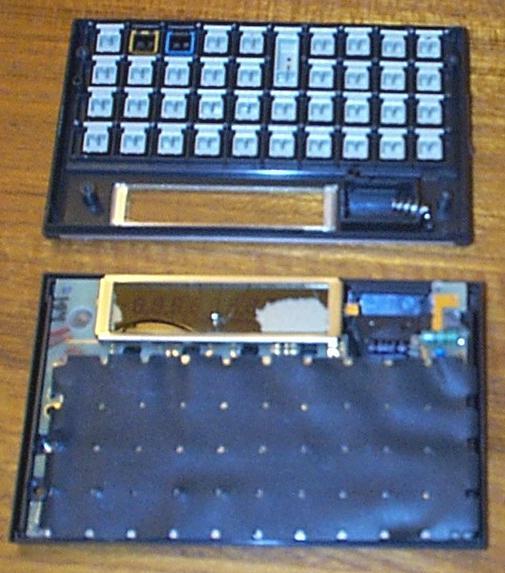 The keyboard is covered with cellophane tape to keep the keys in place when the two halves are separated. 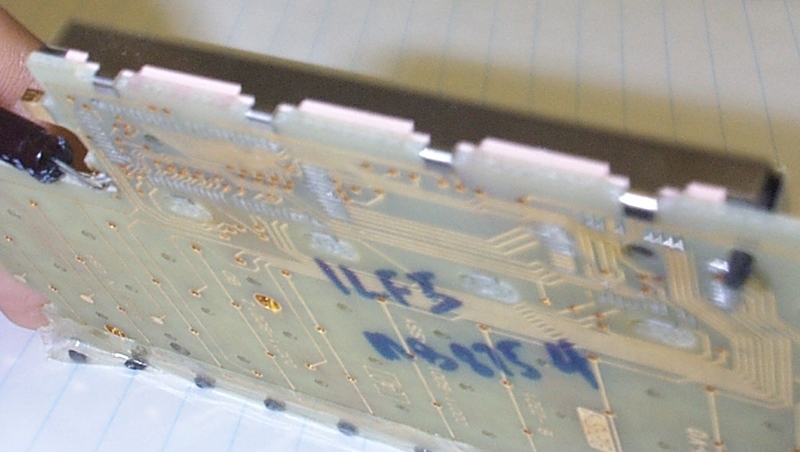 On the back, peel up the rubber "foot" at each corner and remove the screw underneath. 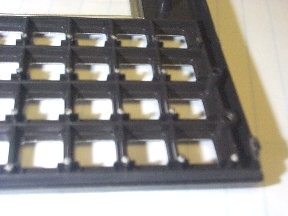 Carefully separate the top and bottom halves of the calculator. 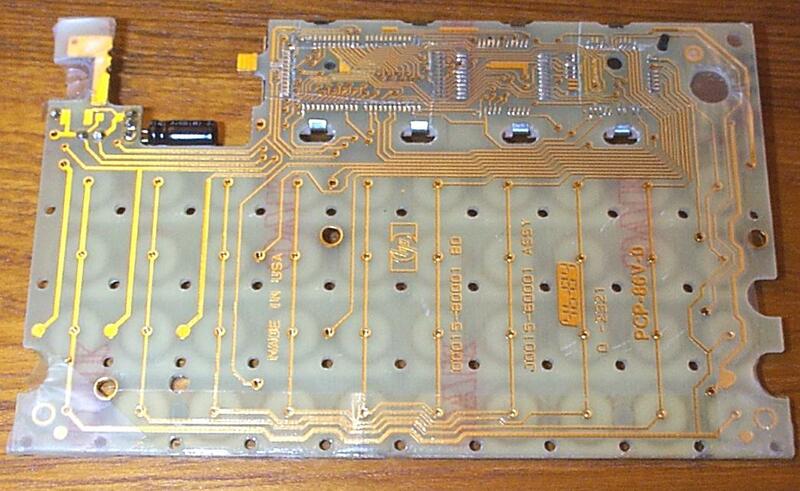 Remove the rubberized sheet between the keys and the printed circuit board. 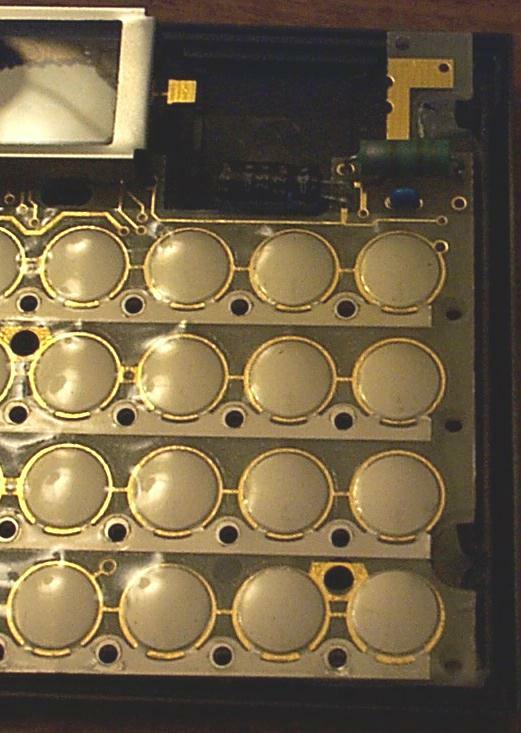 Here's a close-up of the domed keypad, built into the circuit board. 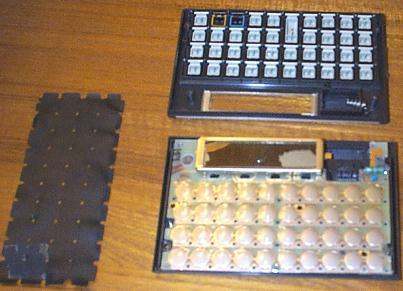 Sometimes cleaning around an intermittent keypad will help cure entry problems. 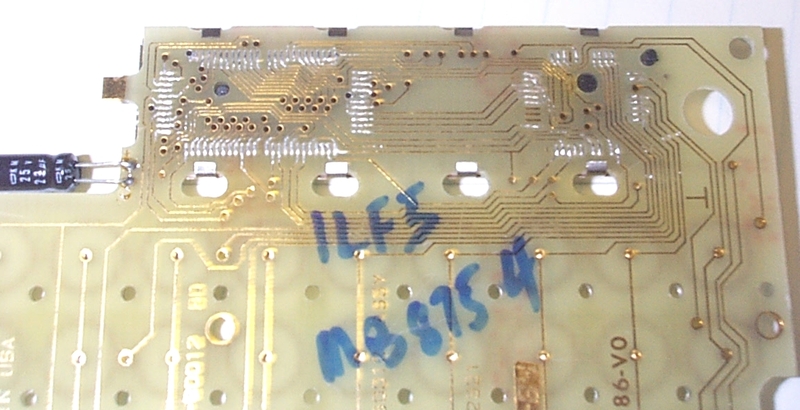 The entire printed circuit board may be removed from the back shell for further troubleshooting and repair or replacement. 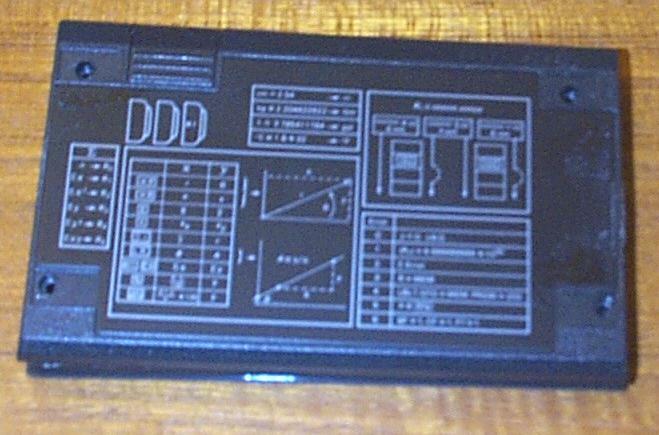 Click here for the Calculators page.